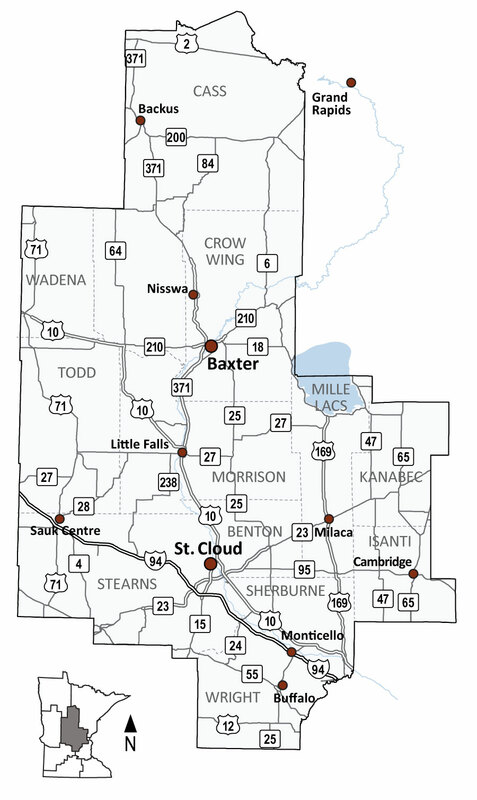 Upcoming public meetings, hearings and opportunities in Central Minnesota District 3. What: Construction Open House for Hwy 65/107 'Continuous Green T' intersection project. Work begins late-April 2019. See how this new, safer intersection will work and learn what to expect during construction. Project staff will be on-hand to answer questions. What: Construction Open House for Hwy 210 project between Brainerd and Ironton. Prep work begins in June and detour after July 7, 2019. Learn work details, traffic plans and see layouts. MnDOT project staff will be on hand to answer questions.